Summary: True Christian unity is not merely external nor is it figurative. Jesus prayed for His disciples and, by extension, for those who would believe because of their apostolic teaching, that all believers might have the oneness that He has with His Father from all eternity. Among His other tasks, the Holy Spirit was sent to accomplish this. As God declares us righteous by the forgiveness of sins, so he also calls us one. And what He establishes by declaration He also accomplishes in fact, placing us in an organic union with Him and with each other. We aren’t one through loss of individual personalities or identities. 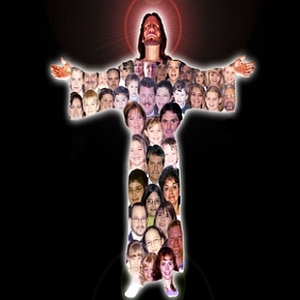 Just as Father, Son, and Holy Spirit are each distinct persons yet One God, so we who are many are one Church. We are community. We live in communion. Yet we the one are many with diverse talents and gifts. As Father, Son, and Holy Spirit are one God, as God and man are one Christ, or as the bread and wine of the Lord’s Supper are also Jesus’ body and blood, each remains distinct but cannot be what it is if divided from the others. If we divide ourselves from any or all fellow believers, we divorce ourselves from the Church and from her Savior. Because we belong with and to God, we belong with and to one another. The sinful urge to elevate self or to marginalize or demean others despises this oneness. Unchecked and unforgiven, it risks loss of communion, of grace, of faith, of eternal life. Conversely, when we confess our sins of selfishness and receive full forgiveness, the Spirit also leads us into the thoughts, words, and deeds of the one Church. We abandon false pride that refuses help from our brothers and sisters in our own times of need and actively seek to support and nurture others. The many parts of this one body care for and are cared for by the other members even as the whole and all its parts receive constant care from our Head, Jesus Christ our Lord. 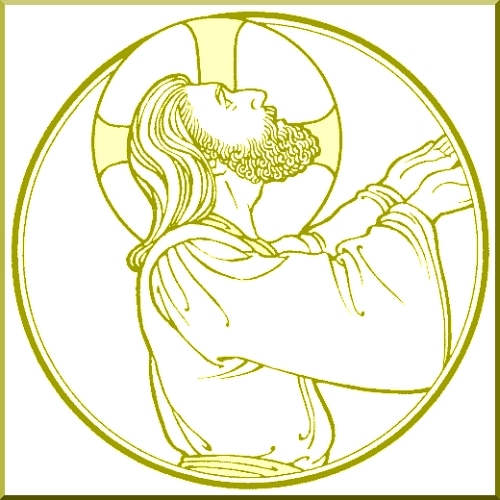 Text: When Jesus had spoken these words, he lifted up his eyes to heaven, and said, “Father, the hour has come; glorify your Son that the Son may glorify you, since you have given him authority over all flesh, to give eternal life to all whom you have given him. And this is eternal life, that they know you the only true God, and Jesus Christ whom you have sent. “I glorified you on earth, having accomplished the work that you gave me to do. And now, Father, glorify me in your own presence with the glory that I had with you before the world existed. Audio: Click to hear the MP3 of That They May Be One.